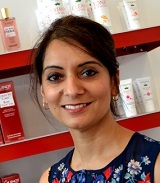 On Thursday 6th December, the Guinot Franchise team joined their newest franchisee, Narinder Joshi to cut the ribbon and officially open the new franchise salon located on St Leonards Road, Windsor SL4 3BP. Stand out from competitors with our globally recognised brand name! Established for over 50 years, Guinot remains a pioneering skincare brand. It is the number one professional brand in France. 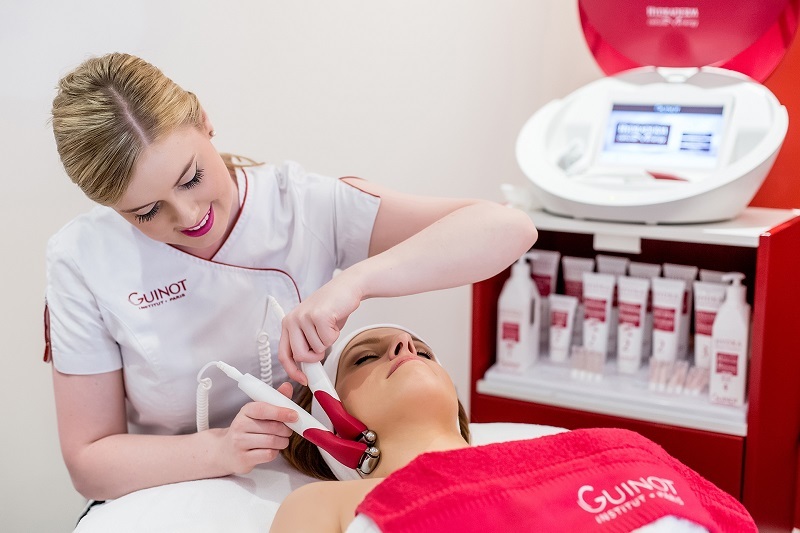 Driven by results, and famous for its machine-based and manual treatment technologies, Guinot is continuously investing in research and development to remain at the forefront of the industry. You will find Guinot treatments and products in over 10,000 salons in 70 countries worldwide. It is only available through appointed salons and spas, and most recently, through its growing network of franchise salons. 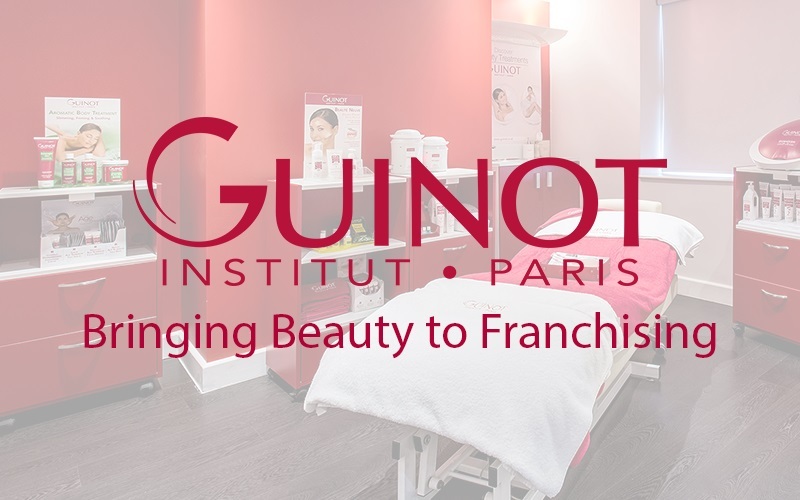 The success of the franchise model in France has lead Guinot to bring the exciting salon franchise opportunity to the UK and Ireland. We are currently seeking individuals to be part of our UK expansion. If you are hard working, focused and willing to follow a proven business system, we would love to hear from you. Guinot has a recognised and established brand image which vastly increases the chances of making your salon business a huge success in such a competitive market. Our iconic interior design is instantly recognisable to help with brand promotion, and as members of the British Franchise Association (bfa), a Guinot franchisee can be assured of ethical business practices and fair franchising. This opportunity is ideal for you if you already own a salon and want to get a step ahead of the competition and take your salon to the next level. Or, if you own a salon and are thinking of retiring in 5-10 years, this is a good opportunity for you to build a valuable business that you could sell on in retirement. Statistically, Guinot salons in France that converted to a Guinot franchise experienced an average turnover increase of 20%. This is the perfect opportunity for those with a passion for the beauty industry who do not have an existing salon, have little or no industry experience or for those looking to expand their business portfolio. The typical start-up cost for a NEW salon business is £90,000 - £130,000 (€100,000 - €145,000). This is inclusive of franchise fee, all set-up costs and operating expenses. Each project must be looked at individually, but these figures give a good indication of the potential outlays. 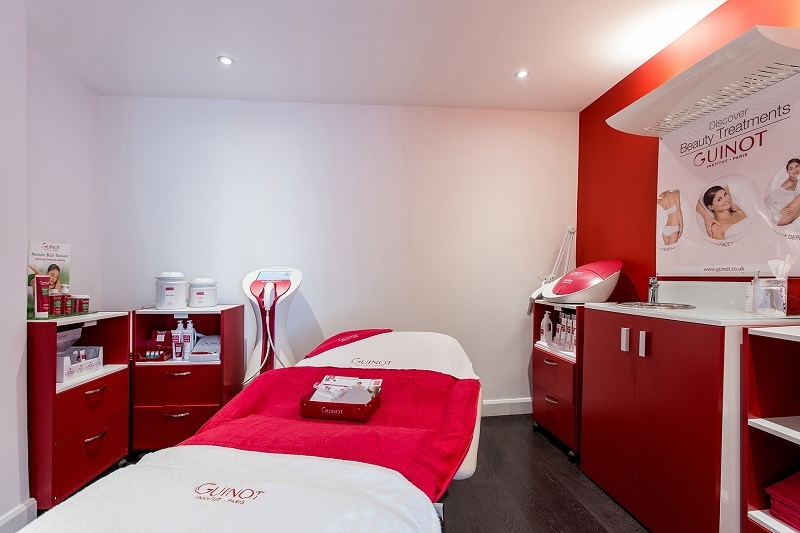 For an EXISTING salon looking to convert to a Guinot franchise, the start-up costs can be as low as £35,000 (€40,000), but again, each project must be considered individually. Please note that due to bank lending, your personal contribution may only need to be 30-50% of the start-up cost. We can put you in contact with a franchise professional from a leading high street bank who will be able to assist you in securing a loan for the rest of the cost (subject to status and fulfilling certain criteria). Once your salon has launched, you will receive marketing support throughout the year. Every 6 weeks you are provided with franchise-exclusive promotions to implement. All supporting online and offline digital collateral is provided, along with easy to follow implementation guides and how-to tutorials to make sure you are up to date with the latest marketing channels and can use them effectively to promote your business. There are many attributes we look for in our franchisees, and although previous experience in the beauty industry is not necessary, possessing the following qualities really does help! By filling in the form below you will be able to download a copy of the Guinot prospectus. Founded by René Guinot in 1963, Guinot was succeeded by Dr Jean Daniel Mondin in 1972. As the son of a plastic surgeon and a doctor in Pharmaceuticals, Mondin redefined the concept of “cosmetics” through his own perspective and his medical roots. His education prompted him to establish a technologically advanced laboratory implementing the accuracy of pharmaceutical standards. 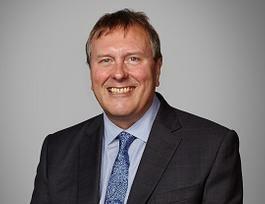 He is one of the few people in the world heading a cosmetics company who has achieved a high calibre scientific degree. 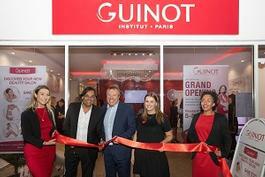 Today, Guinot remains a pioneering skincare brand represented in 10,000 salons in 70 countries worldwide. It is the number one professional skincare brand in France, and it is consistently ranked as one of the top salon names in the UK and Ireland. Following the success of the franchise model in France, which now has over 150 franchises, the UK franchise opportunity was launched in 2012 after opening the pilot salon in Ascot, Berkshire in 2011. The beauty industry is a fragmented and competitive market-place; it’s often the non-branded, family style beauty businesses that do not thrive as it’s difficult to create a strong brand identity. 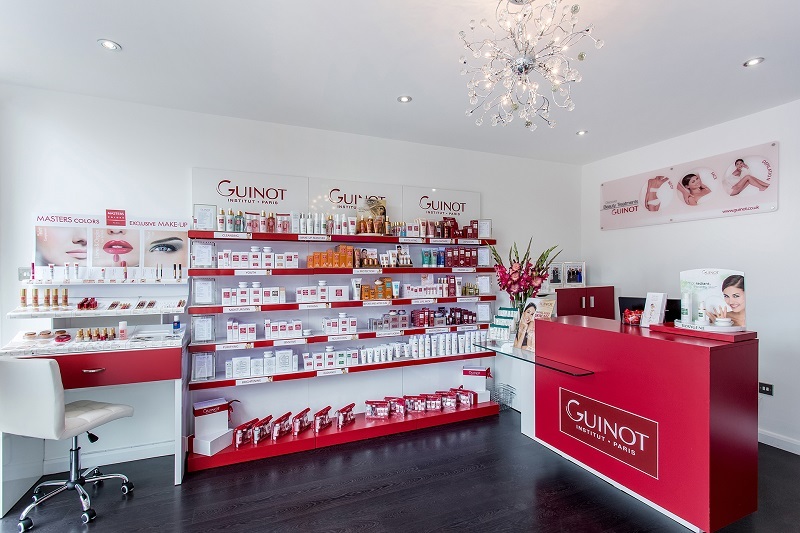 We took the decision to create a Guinot franchise opportunity so that we could provide salons with a clear and structured path into running a successful salon business by satisfying customer demand for higher standards and products that work. Developing the first machine based facial combining galvanic and high frequency (the Hydradermie) is of course our biggest success to date. As one of the industry pioneers with over 50 years experience, it is difficult to pinpoint our biggest achievements, having won multiple product, treatment and supplier/company awards. To date this year our products have already received two awards and as a brand we received the Guild Award of Excellence for Best Anti-Ageing supplier. Initially we were well aware of the salon industry’s apprehension about branded chains but through internal training and external education, marketing and support from both beauty and franchise professional bodies, the sector and our existing accounts are beginning to see how the franchise could work for them. What marketing/promotional tools do you provide franchisees to help grow their business? Marketing support starts from the moment our franchisees sign the Franchise Agreement, working towards the official opening of the salon to the 6 week marketing cycles provided 8 times per year. All online and offline collateral is provided along with easy to follow implementation guides and how-to tutorials to ensure our franchisees get the most out of their promotions. Franchisees also have access to the franchise-exclusive marketing tool kit which allows for franchisees to run their own initiatives alongside the cycle to boost business. What differentiates Guinot from the competition? We are currently the only British Franchise Association (bfa) accredited professional skincare brand on the market offering a franchise opportunity. We develop all our treatments and products to meet consumer demands and adapt to industry trends. We own a R&D and manufacturing facility in France, where annually we produce 27 million products. As a family owned limited company, Guinot has great flexibility to react quickly. 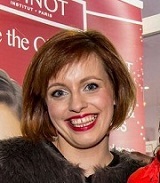 In your opinion, what makes a successful Guinot franchisee? To succeed as a Guinot franchisee, you must be hard working, focused, willing to follow a system and, as with any business, the success will be based on the level of commitment you put in. Careers in the professional beauty industry are enjoyable, challenging, flexible and full of opportunities so a franchisee must be passionate, professional and genuine. It’s these qualities that build customer loyalty and keep clients coming back to a Guinot franchise salon time and time again. What changes have you seen in your industry over recent years? And how have you adapted to them? The health and beauty industry continues to grow; the professional skincare market is currently estimated to be worth £200m in the UK, and an area which has benefitted from significant growth is the facial treatment market. Consumers continue to seek ‘the best’ with high performance results driven treatments being the standard expectation. As previously mentioned we have our own Research & Development and manufacturing facility in France which provides us with the skills and resources to keep up with the ever evolving skincare market. What does the future hold for Guinot? As always Guinot will be launching treatment and product innovations to make sure we retain our position as a global market leader. We will also be launching our client booking app and online therapist recruitment portal in the future for our franchises to take advantage of. Long term, we see further growth of the franchise network both nationally and internationally. We currently have 5 franchises within the UK and Ireland, and expect to open 5 more this year. The Guinot Franchise model is available in France, UK and Ireland and more recently in Russia, Germany, Italy and the United Arab Emirates. To find out more, why not immediately download Guinot's FREE and non-obligatory franchise prospectus here.